An RSS feed (or news feed) is a means by which you can stay informed about what's going on at Longbeach Ukes without having to regularly visit the website. 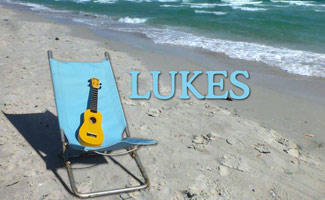 LUKES is a happy and vibrant not-for-profit based Musical Club, featuring primarily the Ukulele, although alternative instruments are utilised. 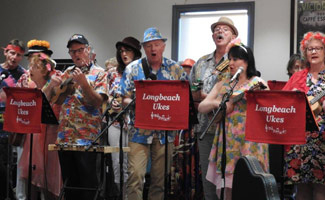 LONBEACH UKES is about having fun, singing your heart out, enjoying music, learning to play the Uke, & mixing with like-minded people from within the Community. Interested members of the public are always welcome to attend our regular Ukulele ordinary meetings, workshops, & open mic nights, so why not pay us a visit. 38 Valetta St, Carrum, VIC. Want to join our Ukulele Group? Want Longbeach Ukes to perform at your next function? Why not hire Longbeach Ukes to entertain at your next event? We can perform at corporate functions, conferences, charity events, community Entertainment events, birthday parties, christmas parties and aged care facilities.